Dan O'Neil started running when he weighed over 300 pounds. Since then, he has lowered his blood pressure, improved his sleep apnea and mustered the courage to publish his journey in a children's book. Over the next couple of decades, the Boston-area man could probably find lots of reasons why his weight ballooned. But it’s just as accurate to say “life sort of happened; I had gotten really heavy.” By the time O’Neil was ready to start running again, he weighed over 300 pounds. “It was slow, but I was out there doing it,” he said of his return to the pavement. Eventually O’Neil joined a new gym and after getting involved with their running club, he got prepped enough to do a half-marathon. Still weighing more than he would prefer, O’Neil was nonetheless inspired to keep going. 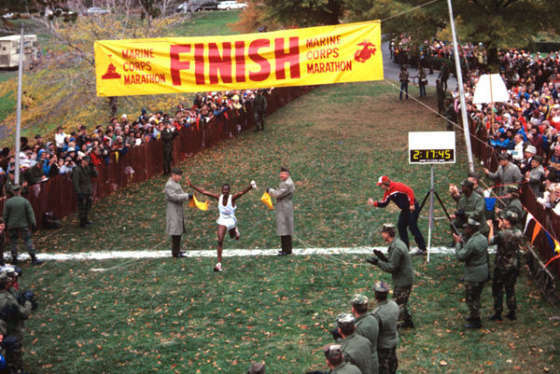 “I decided when I got to the finish line, ‘Well wow! I was able to do this, why couldn’t I do a full one?’” O’Neil said. So O’Neil said he overhauled his diet, adding in protein shakes and cutting out sugar. 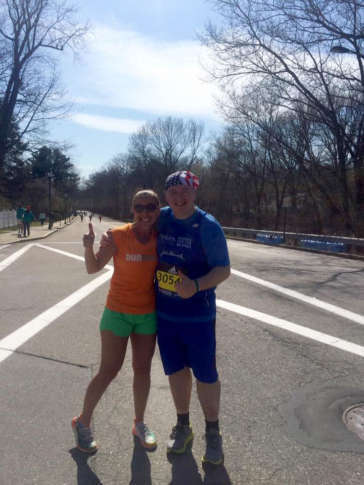 O’Neil was able to enter the Boston Marathon by joining a charity team to raise funds for the Perkins School for the Blind, where his nephews attended. Eating better and running harder, “we ended up losing 64 pounds in four months,” dropping to 228 pounds by race day, he said. Despite the weight loss, he was in pretty rough shape after finishing the Boston Marathon. Yet, before long he was pondering his next one. Last year he took his first ever trip to D.C. to run in the Marine Corps Marathon. It was such a great experience, he decided he had to return this year too. O’Neil says all the running and weight loss have given him greater confidence. He found the courage from a friend who owns a book store. And that’s sort of where O’Neil is with running. He’s been able to lower his blood pressure and improve his sleep apnea. And even though he’s in his mid-40s, he’s not going to stop running now.